For 2011, I’ve decided to list down my aspirations for the year. You might think that they’re “resolutions” but they’re not. 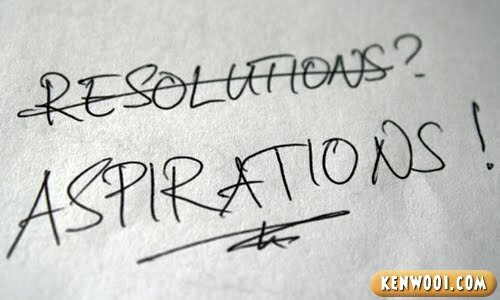 Resolutions are decisions to do or not to do something, while aspirations are hopes of achieving something. And yes, I have my hopes for this year. 1) Exercise frequently and keep my body in shape. I am fat. No doubt about it and I require more workouts. While many resort to hitting the gym, I personally prefer to do self-exercise – for instance, swimming. 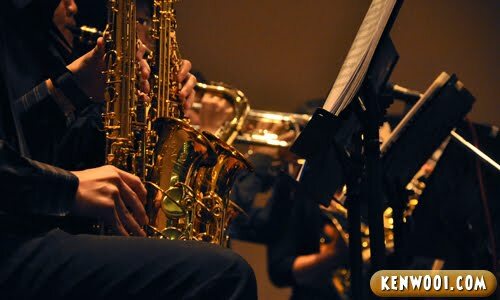 2) Continue my passion in playing music. Ever since I graduated, I rarely play my Saxophone. 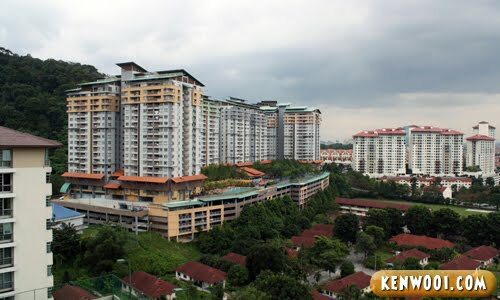 It has been left to collect dust for quite some time, but I believe there are opportunities to come in Klang Valley. Personal prediction: Attended an audition recently, seems promising. 3) Get an iPhone. 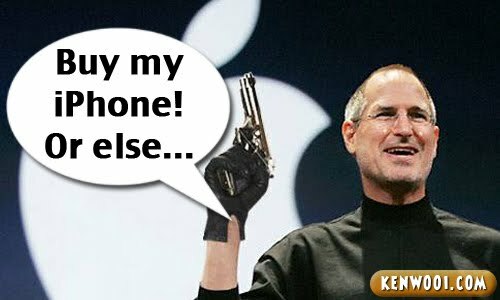 Preferably the one coming out this year, be it iPhone 4G or iPhone 5. 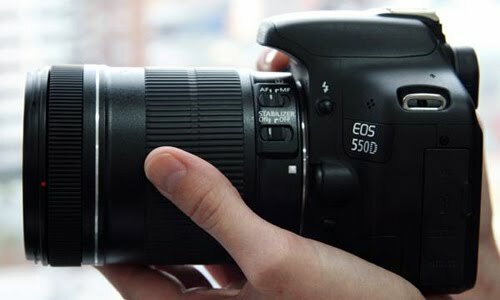 4) Upgrade my DSLR to Canon EOS 550D. Or similar new release that are within my budget. Photography is, so far, just a hobby. I’ve never intend to take it to the next level. Furthermore, I seldom use my camera to the fullest. Personal prediction: We’ll see along the way. 5) Buy my first property. Fat hopes but it can be a good investment and it’d be nice to have my own home. A condo would be fine. Personal prediction: If got strategic and well-managed condos within my budget, I’ll consider. But can’t put too much hopes on this. 6) Travel to at least 2 places within Malaysia and 1 other country. Well, places in Malaysia don’t mean Ipoh or Penang lah. I was thinking maybe Sarawak and Sabah? Perhaps exotic places where I can experience more of Malaysia. Personal prediction: Most likely to be achieved. Blogging is, like photography, a hobby to me. I write because I like to share my experiences and thoughts. But will the inspiration and motivation keep coming? I hope so. Personal prediction: kenwooi.com to survive for another year. Yeah. few of ur aspirations do cost alot. Time to get a sponsor? WOOO KEEP IT UP , GO EXERCISE ! ANDD I WANT IPHONE TOO !! Yeah Sax-maniac get the musical instrument out and dust away the dirt and give it a good blow. Yes looks like point 7 will be easily achieved for you! need to upgrade my camera also..
Come…come to Sibu! 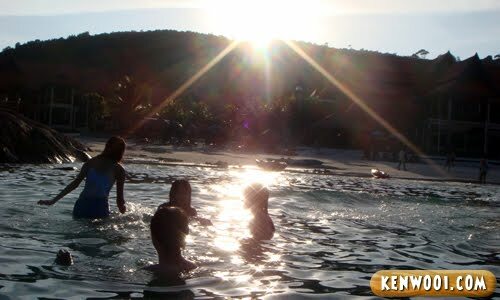 Or Kuching – a nice place too… KK’s great but can be quite expensive. Let me know your plans – I may just join you there and show you around. hi Ken, Happy New Year to you! hi..its like my 2nd post here…im still new here ^_^.. the last one is a good one..end up sleeping by the road..lol…no offense to those unfortunate, but u know what i mean..those that we are on the same page are -swimming, visit some islands, buy 1st property….get in shape, yeah, but for the picture u gave its a bit too much for me…haha.. If you are going over to Sarawak, I could get my family members to take you in lol or maybe, I am back there to sort of bring you around, heh, we shall see! I have not come up with my aspirations yet. Still working on it hahaha! All the best to you achieving all the aspirations! i lived across Sabah for 9 months . Flew 20 times in a year within Sabah. SO i know Sabah. Ask me for info. Sabah and Sarawak are definitely worth visiting! Have a great year! Now I’ll know which to use, aspirations or resolutions! :D Nice one btw. i waitin for canon 1000d. hehe. hey ken if you’re going to Sarawak tell me aite! i can bring u to places all over Kuching..just mail me! lols! :). welcome to the Canon 550D world in advance! Hi ken! Happy new year!! Hey.. Come to terengganu lah n bring ur DSLR! U can snap snap and snap my picts! Hihi.. I just got my canon eos550D, super awesome yet super cheap! Actually to have nice abs, no need go gym, just need to lose that fat covering your waistline. Hehe. LOL Haiya, your blog will surely survive throughout the year! My blog confirm die loh. -_- Anyway happy new year ken. All the best!!! 3. eh, travelling to Kuching, you achieved already leh hehe..
And thank goodness you just got RICHER (summor can buy me lunch tsk2 ;p). So, its an exact opposite of the thought that u might go bankrupt and end up sleeping on the roadside? hahahaha!